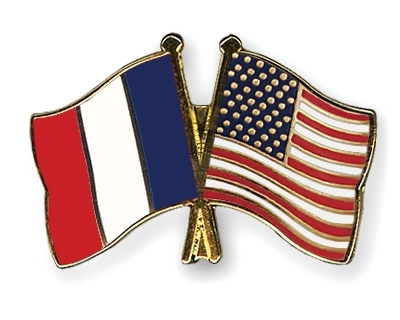 If you are an American living in France, and if your address with Social Security and Medicare is a French address, you may have recently received a letter advising you that you were going to be issued a new Medicare card. It seems they've decided that having our Social Security numbers on the cards was inappropriate, a potential breech of security. So new cards were being mailed. Except, of course, new cards would not be mailed to addresses outside of the United States. Never fear. If you have an account at MyMedicare.gov, you can print an official copy of your card and use it until you are in a position to obtain a new one. If you don't have an account, you can create one. There was another workaround, something about calling Medicare from a mobile phone from within the United States. But since we have no plans to go back to the States in the immediate future, my only ready option was to create that account on MyMedicare.gov. Except, of course, that I wasn't allowed create an account. Error message. Why? I guessed that it was because off the foreign postal code. That guess turned out to be correct. How do I know? Because, believe it or not, MyMedicare.gov has a 24/7 Chat function. I waited less that a minute. Zach was very clear. That's right. You can't create an account with a foreign address attached. If you already have an account, you can access it from anywhere. But if your address with Social Security is foreign, you are out of luck. I asked Zach to describe my Catch-22 plight to his supervisor. He said that he would. I asked how to make a formal complaint to Medicare. He advised me to call them directly: 1-800-MEDICARE. Guess what. Available 24/7. I called. I explained my situation. The agent advised my that they were aware of the problem and were working on it. I asked what I should do in the interim. The answer? Identify yourself to me satisfactorily and I will send you a letter certifying that you are covered that you will receive in ten days. After four weeks, you'll get your new card in the mail. Who knew that single-payer healthcare could be so efficient?